Logitech introduces the Logitech MX Sound premium Bluetooth speaker for desktop and mobile devices featuring a stylish and compact design. Compact it may be, it offers immersive sound experience with its 24-watt speakers packing high-end drives and rear-facing port tubes making it ideal for entertainment and gaming. The backlit touch controls make it easy to adjust the volume or pair Bluetooth devices. To conserve power, the Logitech MX Sound automatically activates standby mode after 20 minutes of inactivity. The MX Sound features the Logitech Easy-Switch technology which allows you to switch between devices in a jiffy. Enjoy superior and quality sound with 24-watt peak power speakers with a 10-degree tilt backwards offering a sweet spot for the user. Adjust the volume and pair Bluetooth devices with a light touch to the motion-activated, back-lit controls on the speaker front. The Logitech MX Sound is covered with a 2-year limited warranty. 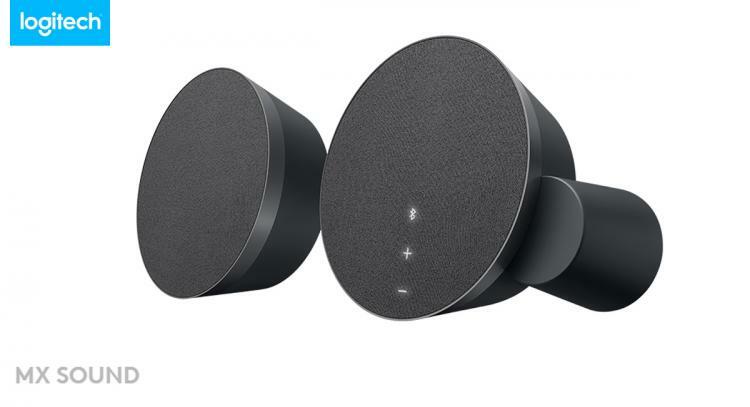 The Logitech MX Sound Premium Bluetooth speaker will be available by the end of September 2017 at Logitech.com and select retail stores for a suggested retail price of £89.99.